It’s hard to find clarity in a sea of over 7,000 languages. With Ethnologue you can get the details right – and make wise decisions for your business, clients, or research. We’re the most authoritative resource on world languages, trusted by academics and Fortune 500 companies alike. Built to help you navigate languages – quickly and easily. Profiles for every language on earth. Overall statistics, guides, and tools. Variety of formats to fit your work. So you never have to wonder what you aren’t finding out. 7,111, to be exact. We list every recognized language. Other resources may use an old or incomplete list – or they may show one “language” in place of what we know are many separate languages. With Ethnologue, you’re guaranteed to get the latest, fullest list. Need the big picture? 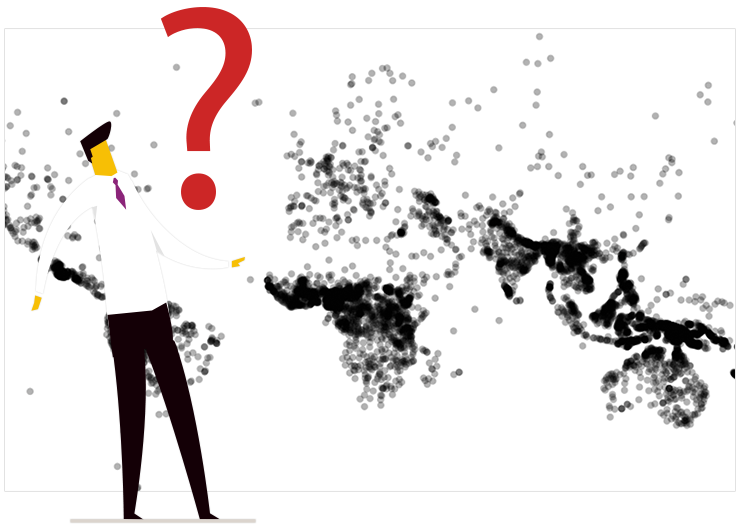 Step back and study our statistics for a given country, region, or the world. Or plug the raw data into your own analysis tools to tease out exactly what you need. We include every known name and dialect for a language, so you can find it no matter which term you use. You can also identify a specific language by its code, following the ISO 639-3 standard that Ethnologue pioneered. For a level of clarity you can’t get anywhere else. Rich data for each language. Ethnologue brings together more data than any other resource of its kind. 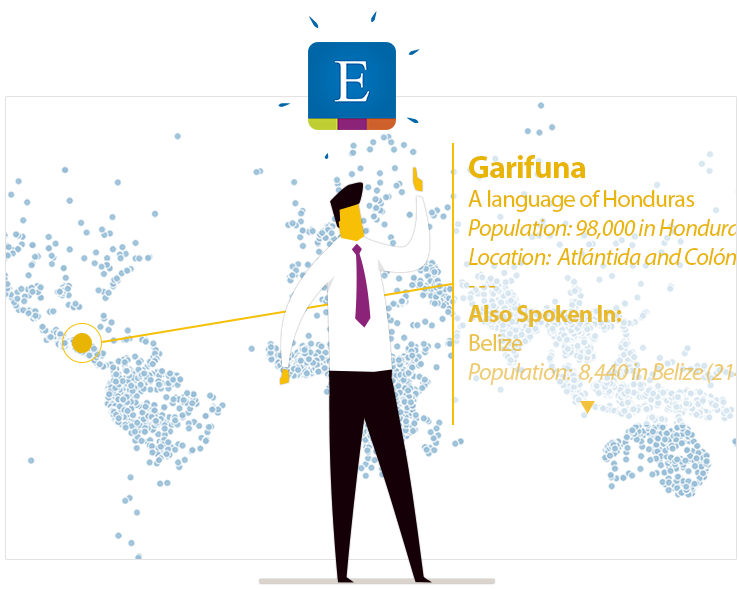 Quickly find what you need for any language – from populations to maps, dialects, usage, and more. Is a language endangered? Thriving? What might they speak as a second language? How about its family or dialects? Our profiles are cross-linked to help you see connections, and you’ll often find qualitative notes about attitudes, religion, and more. Dig into our articles on language endangerment, development, how many languages there are, and more. Our team is also working to design new tools for understanding language, such as our forthcoming digital vitality index. Because there’s no better source than the industry leader. Ethnologue is powered by SIL International, the leader in field linguistics. With over 80 years of history, 5,000 staff, and a network of partners, you won’t find a more capable source. Just as you’d expect from a leader in linguistic research. Learn more about our methodology for language identification, language status, maps, and references. No more wondering if you have the latest data. We're constantly on the lookout for more up-to-date information, and we release a new edition every year. Our latest included more than 20,000 updates. Subscribe online, or choose from our other products: raw data, digests, books, and more.